Factory 8 Round magazine for the new Sig Sauer P225A chambered in 9mm. Made in Italy. Will only fit the new Sig Sauer P225A, NOT the older P225 and P6. The two sig magazines I received are very good quality parts. I have shot 40 rounds thru each of them with no fit or feed issues. The price paid for these magazines was better than other suppliers I checked. Overall I’m very happy with the magazines I received and the service I received. Ordered two of the new Sig P225A1 magazines on a saturday and the mags arrived on tuesday. Exceptional service from Top Gun!! I ordered two Sig P225A-1 Mags. They are perfect factory Sig Mags. The pricing was on average 7-12 dollars cheaper than anywhere else I found. 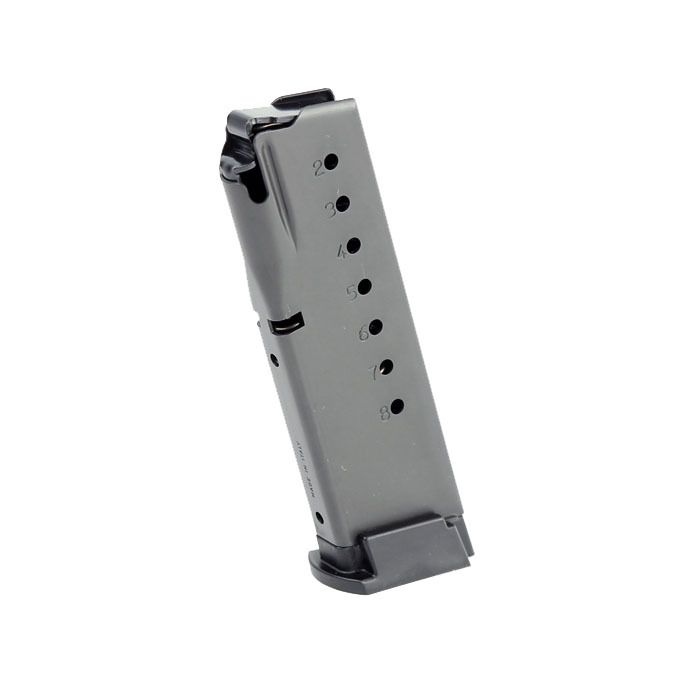 These are difficult mags to find at a great price. Customer service was second to none. Within a minute of ordering these magazines I recieved an email saying they were working on my order. Seems like it was only a couple hours later I recieved an email saying they had shipped. I look forward to shopping with Top Gun Supply in the near future. I believe it was Tom that I dealt with. I am really happy with my purchase and the service. Fast,great price, efficient,great service and timely delivery. Ordered a Sig P225A1 magazine from Top Gun. Item is the exact same as what you get from Sig. arrived in record time as well.